FBA will join the Paul W. Bell FLEA Club at Fuddruckers in Doral on Tuesday, May 29th, from 5pm to 8pm for the world’s greatest burgers, fries, and shakes. The event will also serve as a drive to raise calculators for PWB students in effort help our them reach their full academic potental. 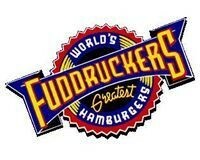 Fuddruckers is also donating 10% of everyone’s bill to FBA so come eat out and support our charity.